I have a Subaru brat or brumby as it’s known in AU, I have the uk model (and I am from the uk) and have recently got the car running, I’ve fitted an alternator to the engine and this is all the work I’ve done, when the car starts, it will idle, and then when I touch the throttle and sometimes even if I don’t, the car redlines aggressively until it stalls, what could this possibly be? Another issue I’m having is that the car won’t shift into FWD? Any suggestions on either of these problems would be greatly appreciated! Re: Revs and revs till stalls, what could it be? The 2wd issue could be that the 4wd has the front and rear axles fighting each other. Also known as binding. Jack up a wheel and it’ll probably spin once enough weight is off the tyre. After this you should be able to drop it back into 2wd. As for the revving issue - are both throttles in the carb closed? 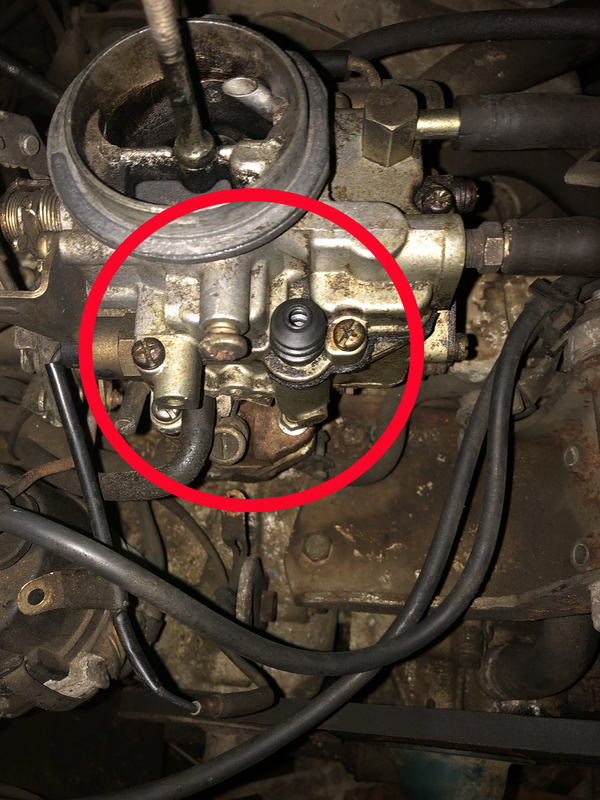 Is the carb setup for the secondary to open with throttle and a mechanical lock opening, or has someone toyed with it and made it a mechanical opening mechanism for the secondary. I should also ask - Weber or the original hitachi carb? I'll just guess but check the throttle closing spring. If it's missing/weak/stretched, then once the car is running the vacuum could pull the throttle open, redlining it. The stall may be another problem, e.g. poor fuel pump supply or carby float/ float bowl / blocked fast jet issue resulting in fuel starvation (redlining may occur off the pump jet if one is fitted). Once the engine dies, the throttle closes normally & enough fuel gets back in the float bowl to repeat the cycle next start up. One way to check is when the engine races, block the air intake with something solidish that can withstand a vacuum, e.g. a piece of plywood with a bit of foam around the edge to form a seal. Not a piece of paper or rag, that might get sucked in. Engine should die/spin down. Probably the line that goes to the vacuum reservoir for the HVAC controls. This is a required item. No vacuum reservoir on the brumby. When you say right hand side you mean when you’re looking at the engine from the front of the car or the actual right hand side of the vehicle? Only asking as when talking left/right we always refer to the vehicle’s left/right, not the way you’re looking at the vehicle as the orientation changes and it can get confusing. That blue piece in the vac pipe is normal. There might be a green one too. These won’t be the issue. Got any pics of the carb or the vac lines you have questions about? PS - photos: use a third party hosting site. Then use [img]picaddress and the same bracket code but with / before the img bit. No vacuum reservoir on the brumby. Update so far, got the car running and idling, idle is very very fast with the choke all the way closed, as it warms up by pulling the choke the car slowly spins down the revs but does stay idling, I’ve tried the idle speed screw but it seems like the further out I screw it the louder it gets and screwing it in makes the engine race, how do I know how far it should be in, and I’ve not been able to push my choke all the way in as I’ve got a rad leak that blasts coolant when I get up the temperatures, until that’s fixed I can’t see it run off choke, so my question is how do I know the idle is correct and how many revs is too many? Anyone got a video of what a correct idle would sound like? I’m sure when I eventually put a Weber on it these will be fixed but for now I want a sort of functioning engine, any help is greatly appreciated! Get the coolant issue sorted, then start setting up the carb. You want to have it a full operating temp so you can adjust it. It also sounds like you may have an air leak in the pipework or manifold. 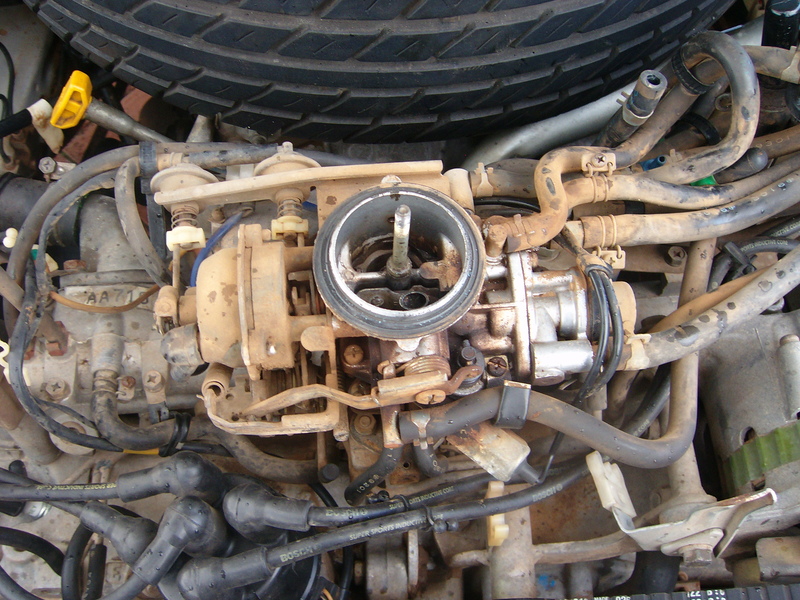 It will never idle or run properly without the missing parts. Got that carb/part fitted yet? Just wondering if you’ve got any updates to share.